Allivet has been investigated by LegitScript, a NABP recognized organization that vets online pharmacies and has been given "legitimate" status. For more information, please visit the Legitscript report. Been ordering from Allivet for many months now. Recommended by our Vet. ! Great pricing and get additional rewards discounts. Very fast service and notify you when item is shipped. Glad our Vet. told us about this site ! Had all the items I needed in stock, with more choices and lower prices than Chewy, plus free shipping and a five dollar coupon code. Great place to shop. Fact service. Great customer service. No negative response. Great prices. Delivery on time. shopped around and found this to be lowest price for west nile vaccine. We shall see if it arrives in great condition. I've been using Allivet for four years for my pugs medications. They have the meds my pugs need and are easy to use. So far, knock on wood, I haven't had any issues. So far every experience with Allivet has been a great experience. Their prices are great and delivery has always been great! Easy to use website with affordable prices And great customer service.I am now saving a lot compared to what I was spending at my local vet. I first ordered through Allivet a year ago after a bad experience with another online pet pharmacy and was initially pleased how easy and quick it was. That pet has now passed away but another pet takes the same medications. My vet had been putting all their medications under the one who passed and now it's been a real struggle to get them changed over to the pet that I now have. After several days of 'fax tag' with the vet, I waited 6 days (4 business days) for shipping and now it's up to 18 days since the order was placed and hopefully will come tomorrow. This is not quick nor easy (having taken several phone calls because emails are only sproradically answered) anymore. Their prices are good, the customer service is the best, and delivery is quick. What more can you ask? I started using Allivet for Prescription drug for my dog. It was a good price. Now my dog needs Interceptor Plus. I ordered 12 month supply and save about $25 compare to other vendors. Thanks Allivet! First I place an order on 3/14/19 for my dog's heart worm medicine. Then I get an email saying my vet didn't respond and to call them, so I do. They tell me they faxed the Rx already but they would do it again to make sure they received it. I hang up with the vet and call Allivet to tell them. The woman I spoke to said that now there were 2 orders being filled, so I had her cancel the second one since she assured me that the first one was already shipped. I get an email confirming shipment and giving me a tracking number that I try to access but can't. I give it about a week and call them. The gentleman I spoke with tried to track it and couldn't find it either even though my account was showing that the order was completed. So, he says he will resend the order overnight AND give me a $10 coupon on my account to use the next time. Four days go by and still no order, but I get another email saying that per our conversation, here are the directions to send the prescription!!! So, I call again, the rep says to ignore that and that they were emailing the pharmacist to let him know the situation and to just send it out. Two hours later I get a call from the pharmacist asking me for the prescription!! I then flip out on him, explain the whole story again, and he reassured me that the order will be sent and I'll get it the next day. The next day I get an email saying my shipment has been put on hold while they wait for the prescription, but I ignore it because of being assured by the pharmacist that the order was being filled. Same morning I get a call from the same guy that had first told me that he would next day the order and give me a coupon...they are now saying that my only orders were from the year before and the one that I just cancelled, even though I gave them ALL of the order numbers including the one from 3/14/19 that shows that it's completed. I tell him that if I don't have my order by the next day, that I will not do business with them any longer. He assured me that he is putting the order through and I'll have it the next day. A few hours later I get a call from their "customer escalation" department and I have to explain the WHOLE story again because she is insisting that I cancelled the order. Now, this is how she is going to resolve it for me: send me the two boxes with a discount of $3 on each and not charge me the $22 next day shipping! Making my order total $63 when my original order was only $58 with free standard shipping!! Doesn't even offer the $10 coupon that's supposed to be on my account!! Of course I flipped out on her and said goodbye after assuring her that I'll never do business with them again!! I've used Allilvet for a couple of years now, and now some of my friends and family have begun ordering their dog/cat needs from you. I guess my enthusiasm rubbed off. Allivet has best price for monthly Galliprant medication we give our 13 year old collie. Plus we can usually find a discount coupon which helps because the medicine is, on average, $63 for 30 pills. Every little bit of savings helps! Thank you, Allivet! Although my cat's Zeniquin is so costly-- Allivet has provided me with the cheapest options. They also have great deals! I got 35 tablets for basically the same price as 20. I have ordered Rx from this site previously. I just got my girl a new Rx and decided to price shop. Allivet had the best price by far over my vet and other online mail order Rx for my girl.Thanks! Why do u have to contact the vet for a reorder of the same drug for my dog? Otherwise. Your price is great and I really appreciate free shipping. Easy to order & reorder prescriptions! Great prices! Items have always come properly packaged & in great shape! Fast and easy. They even contact your vet for you. Your pets medicines delivered fast and conveniently to your door. I have used Allivet for quite a while now, and up until recently had been very happy with their prices and their service. All of that changed this week, when I realized that I had less than a week's worth of medicine left and had gotten notification that my dog's autoship medication had been sent, though I had received notification a week earlier that it was about to ship unless I wanted to skip the delivery. When I checked on Allivet's site, I saw that it was back-ordered. When I called they basically said oops... they apologized and agreed that they should have let me know that it wasn't being shipped .... but they made no offer to substitute the medication or call another supplier. Had I not noticed the absence of a mailing notice, my dog would have been without her medication, and the sudden stop could have had devastating effects. Fortunately, my veterinarian has some in stock, and though I will have to pay a lot more, the dog will be okay. The company offered a store credit of some kind, but I turned it down, as I won't be spending another penny with them. I found Allivet by chance and have been using them for my pets' medication. When I first used them, there was some "hiccups" in obtaining my pets prescription from the vet however after that it has been a smooth purchase. Just don't wait till you're too close to running out of meds. I've referred several family and friends to them. Honestly I haven't compared prices because of their reliability. We used this product for our dogs and it worked great! We like to put our mommas on antibiotics after whelping to prevent infections. This is an excellent way to give them amoxicillin. We used the 500mg capsules for our Danes. Allivet has saved me money over the past few years, though Chewy is getting on board with their new prescription products. The problem with Allivet is that I've paid for expedited shipping several times and always regretted it because the packages still arrive in 5 to 10 days. This includes second day. I've also had them accept an order then not be able to fill it for a considerable time. That was a while ago, but they always take longer than Chewy or 1-800-petmeds. I just placed my order, so I'm basing my review on the initial shopping experience, not on customer satisfaction of any products. The website had easy controls, competitive prices on some of the products and it was easy to request that they contact our dog's vet for the medications which require a prescription. I ordered Nexgard and it came loose in a bag? I want a sealed box. Hi Laurie, Here at Allivet we believe that it's what's inside that counts. Some of our medications do not come in their original box or bottle. However, Allivet only sells genuine FDA / EPA U.S. approved products- the same exact medications sold by your veterinarian, with same or better expiration dates. We guarantee this in writing on our website (check out 'Our Guarantees'). But don't just take our word for it: The National Association of Boards of Pharmacies inspects our facilities, products, and procedures each year to award us the Vet VIPPS certification. You can shop with confidence knowing that Allivet is certified for upholding the highest standards in pet pharmacy. So whether in a box, bottle or bag, you are getting 100% genuine FDA / EPA U.S. approved products- the same exact medications sold by your veterinarian, with same or better expiration dates. To know how your pet medication is sold, click on "How it's sold" in the product info. For medications such as Nexgard or Comfortis, we include a disclaimer there that says "This product is sold with the package inserts and instructions but does not include the box." If you do have any questions about a particular medication (packaging, administration, disposal, expiration date) please feel free to contact our pharmacist on duty. We're always happy to help! I have read some medications arent sent in original packaging. Is vetoryl shipped in original packaging? I'm concerned about the glaring poor reviews. While it's always good to see positive reviews, the negatives here indicate a customer service problem. How will I be assured of outstanding customer service and timely receipt of the prescription medications that I purchase? I have been ordering from Allivet for 6 years and have never had to wait more than a few days ( 3 - 5) for my order. I have ordered both online and over the phone. The associates that I have dealt with have always been extremely helpful. How to you offer lower prices - is it a sacrifice for quality? My pup gets Vetoryl 10mg and 30mg. Both come in their original boxes, sealed and new, just like I get at my vet. Their prices are $75/month less than 1800-Pet-Meds for this medication. I cannot explain how they do it, but I am glad they do. Out of 3449 reviews they still have a 4.5 star rating out of 5. I can personally say that I have never had an issue with Allivet on any of the medication that I have had to order for pets and it is much less that what I would pay through my veterinarian for the exact same product. They also have great prices on pet treats as well, which can quite possibly help you get their free shipping offer for spending $49 or more if the medication isn't quite expensive enough. as a consumer, you cannot upload, fax or send an Rx to any pharmacy. They can only accept a Fax Rx directly from your Vet, otherwise they need the hard copy. Hi. Does Allivet receive their inventory directly from the manufacturer for Nexgard Chewables and Heartgard Plus chewables? I called the manufacturer of NexGard, who told me they do not supply Allivet with their NexGard product directly. They could not tell me how Allivet gets there supply. Perhaps the reason Alligard does not ship NexGard in the mfg's box. Not for that particular product, no. But I would be very wary of doing business with them online-their business ethics are not what they should be. I am going to mail in my girls prescription. I know it will take up to a week, but do they wait to ship my order til the prescription gets their? By law, they are not allowed to ship your prescription until they have it in hand, but your vet may call or fax it in and it will be available immediately. You will need to go online and order. They usually ship by USPS, but you can pay extra for speedier shipping if needed. will my order ship before you receive the prescription in the mail? Hi Katherine, By law, we cannot ship prescription medication until we receive vet's authorization or the prescription in the mail. Questions? Get answers from the Allivet staff and other customers. Allivet pet pharmacy is a national online retailer of prescription pet medication, pet supplements, horse care products, and veterinary supplies for more than 20 years. Allivet carries a large selection pet products including, pet medications, vaccines and pet supplements for joint care, dental care and more. Allivet carries popular items such as Fronline Plus, Hartgard, Comfortis and Trifexis and also supplies hard to find medications at the lowest prices. You can find comfort in knowing that our pharmacy has been awarded the Vet-VIPPS certification of approval by upholding the highest pharmacy standards. Agropec Trading dba Allivet was founded in 1992 and has grown its reputation as your trusted pet pharmacy, by providing reliable service to pet owners, farm & ranch owners and veterinarians throughout the United States and overseas. Agropec trading is a privately owned company. On September 23, 2011 Allivet earned the Veterinary-Verified Internet Pharmacy Practice Sites (CM) accreditation through the National Association of Boards of Pharmacy® (NABP®). Allivet successfully completed the rigorous accreditation process by demonstrating the professional operations of the pharmacy, including the maintenance of policies and procedures that protect the veterinarian-client-patient relationship, ensure the appropriate handling of prescription medications, provide appropriate medication information, and ensure quality pharmacy practices are continuously offered to our clients. 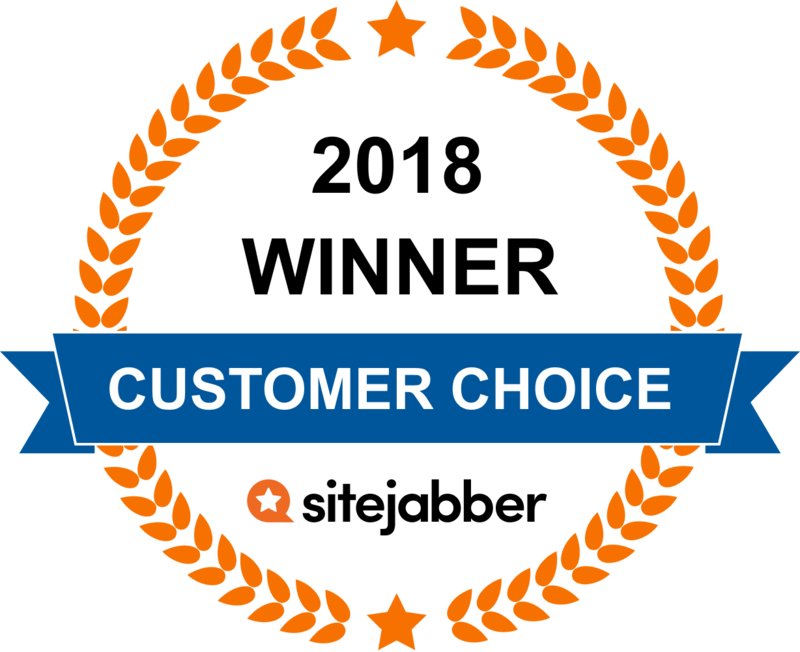 On October 1, 2013 Allivet was awarded the Bizrate Circle of Excellence, one of the largest sources of consumer-generated reviews of online retailers in the United States. The award recognizes retailers that received outstanding online customer satisfaction ratings in each of seven key satisfaction indicators throughout a one-year period, as rated by their own, verified customers. Earning the Bizrate Circle of Excellence Award signifies a retailer’s unwavering commitment to its customer’s satisfaction. On Dec 12, 2013 Allivet was selected to join the Google Trusted Store program. The Google Trusted Store badge is awarded to ecommerce sites that demonstrate a track record of on time shipping and excellent customer service. Keeping customers and their companions animals in mind, Allivet strives to provide the highest quality products at the lowest prices.